Roberto is also very active in the digital health ecosystem in various advisor capacities both in Europe and in USA to companies, start-ups and investors; among others he has been recognized Best Industry Leader by The Health 2.0 – 10 Year Global Retrospective Awards in 2016, nominated Transformational Leader at the 2017 PM360 ELITE Awards and named among the 100 Most Inspiring People by PharmaVOICE in 2017. “It was in 1993, when I was dreaming of computer science transforming medicine. A little later Healthware was born. 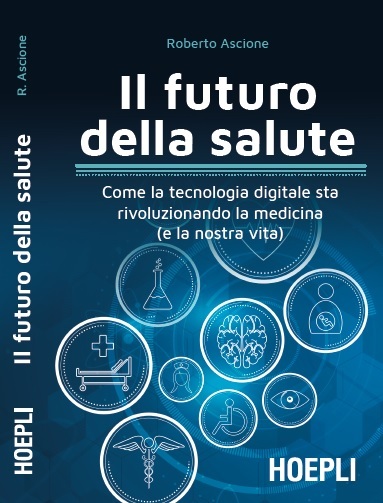 Roberto is the author of Il futuro della salute [The future of digital health], an enlightening and insightful book on the digital revolution of the healthcare industry. Roberto regularly shares his vision on what the future of digital health will be like by giving his keynote titled Towards a Digital Health Future. Roberto is a regular keynoter at numerous conferences, he is Chairman at Frontiers Health Conference and President 2016 Healthtech Summit. Roberto’s 20 years experience in digital health has been recognized with numerous awards including the 2017 PM360 Elite and the 2017 PharmaVOICE 100. Roberto’s new book in Italian…soon available in English! Technology is changing every aspect of our lives (from our attitudes). How will it impact the health universe? How our ways of thinking about it and above all the automatisms that we have inherited from our parents? To take care of ourselves and our loved ones, already today, we need a radical change of mentality. What is learning needed? What awaits us? Remote control via smartphone, no exam queues, apps in place of medicines… Artificial Intelligence will also enter the field with force health, in some cases defining real “digital therapies”. The change could not be more disruptive.